G&G Signs is a company that supplies nationwide to local authorities, municipal companies and corporate clients. With over 30 years expertise in manufacturing signage, ISO9001:2000, we are the first choice for all your recycling sign requirements. Recycled Composite Profiles are the basic building block for our range of environmentally friendly, maintenance free street name plates. G&G Signs' profiles are impervious to water and allow for easy and quick construction of our support frames, where the area is subject to flooding or standing water. 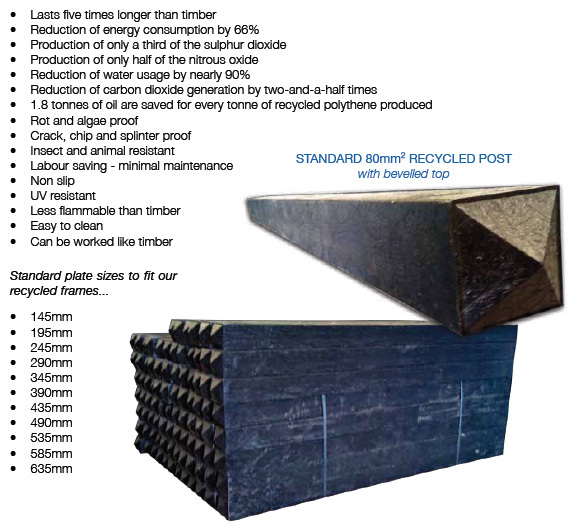 They are designed to replace traditional (timber, concrete and steel) materials used within the construction industry and offer significant commercial, technical and environmental benefits. G&G Signs' profiles are manufactured from 100% recycled plastics, sourced exclusively in the UK - material that, if not recycled, would have been destined for landfill. 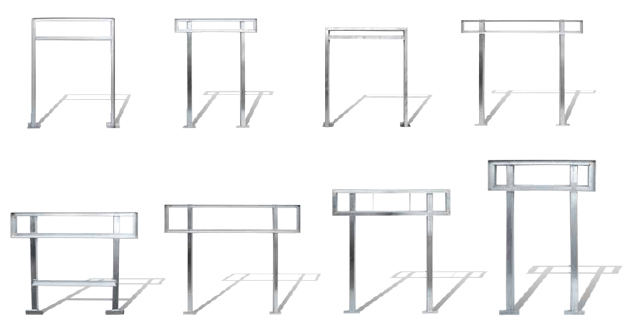 All of our support frames are tailor made in-house to suit teh name of your street name plate, cutting down on white spaced area. They are all also galvansied to BS EN150 1461. Our support frames are also available in a range of high gloss stoned enamel colours.